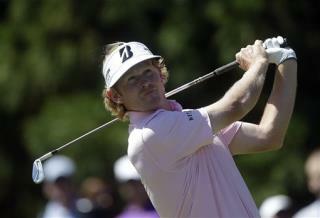 (Newser) – Brandt Snedeker played the round of his life and claimed the biggest payoff in golf. Snedeker, needing to win the Tour Championship today to beat out Rory McIlroy for the FedEx Cup, made three big birdies on the back nine at East Lake and pulled away to win both trophies. He hit his final tee shot into the grandstands behind the 18th green, but by then it didn't matter.